WELLINGTON (Reuters) - New Zealand's clean, green image took a beating this summer as tourists travelling through the countryside posted pictures of lakes and rivers off limits due to contamination by farm effluent, garbage and human faeces. A booming dairy farming industry, along with a surge in tourists seeking unspoiled natural attractions, has taken its toll on the country's environment, heavily marketed as '100% Pure'. 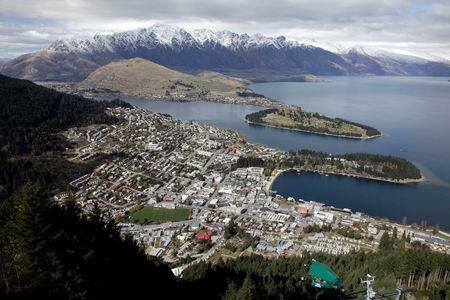 In a Colmar Brunton survey conducted last month, 82 percent of respondents said they were "extremely or very" concerned about the pollution of rivers and lakes, more than any other issue including living costs, child poverty and climate change. 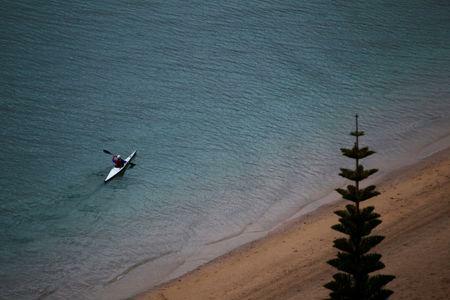 "(New Zealanders) are extremely worried that they are losing their ability to swim, fish and gather food from their rivers, lakes and streams," said Martin Taylor, the chief executive of Fish & Game New Zealand, a non-government agency that commissioned the survey. "People see those activities as their birthright, but over the last 20 years, that right is being lost because the level of pollution in waterways has increased as farming intensifies." More than 13,000 people signed a #toomanycows Greenpeace campaign on Twitter launched last week calling for a ban on synthetic nitrogen fertiliser. "New Zealand already has way too many cows, and synthetic nitrogen is the key driver of the dairy intensification and expansion that leads to the dangerous double whammy of harm to rivers and climate," said Nick Young from Greenpeace. Popular swimming holes near the famed Mt Taranaki in the west of New Zealand's North Island were shut this month due to high E.coli bacteria, an indicator of faecal contamination. Tests are underway to determine the cause, but effluent from nearby dairy farms has been blamed in the past for contaminating these waters. "The reality is that all types of land use contribute to water quality – and that farming, whether it’s vegetables, fruit, beef, sheep, dairy, deer or even wine – must all work together to make sure waterways are protected," Mackle said in a statement. "The most polluted rivers actually run through urban centres, and this is where the public can do their bit too." 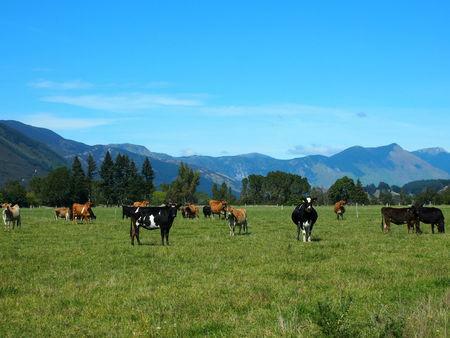 Dairy and tourism directly contribute about 3.5 percent and 6.1 percent respectively to New Zealand's $200 billion GDP. Both industries rely on the country's clean, green image with cascading rivers, unspoiled forests and lush pastures that made it the ideal backdrop for the popular Lord of the Rings and The Hobbit movie series. Apart from polluting the water, residents also fear mass tourism and freedom campers may destroy the country's iconic landscape, as seen in places like Venice, Boracay and Bali. Overcrowding in Venice forced the local administration to restrict access to tourists while Boracay was shut down last year, after mass tourism turned the famed Philippines island into a "cesspool". "We have a collective duty to care for our environment and for New Zealand, and there have been a number of initiatives to help educate local and international campers on how to camp responsibility, and funding for infrastructure to help local bodies to address the issues that can arise," he said. "It's an own goal…they are shooting themselves in the foot. The biggest value add this country can have is its clean, green image and they are just ruining that image,” Joy said. "Right now, a lot more money is spent on spin and propaganda but there's been very little change."